I signed a prenup that says I have no interest in husbands two homes. He has a preexisting living trust. Now he needs major medical attention in the near future. Will the medical bills come to me or will they be paid out of his properties ? I imagine that his medical bills for his care will be paid from whatever funds he has available to him. If you have specific questions about the terms of your prenup and whether it affects this situation, I urge you to consult your attorney for specific guidance. He is a business man who used to pull down $150k a year. But with the recession and with other emotional factors (I am imagining,) he has had very random jobs for the last 9 years of our divorce. I am just a school teacher, and do not make that much money but he now wants to have a financial “conversation” with me. He has threatened to take me back to court so I have to pay him alimony. In most states child support is based on your income, his income, and the percentage of time the child spends with each parent. Spousal support is often based on a number of different factors, including the earning ability of the supported spouse. Ask your attorney to tell you what the rules are for support in your state. You are asking a legal question, and we are not attorneys. However, I doubt a typo in the order concerning taxes will invalidate that clause. Are they any services out there to help women like me? I don’t qualify for govt. anything…I just need a little help getting caught up and ahead. 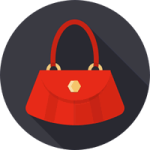 Are there any private women’s organizations that will provide temporary financial assistance? I just came across this website for the first time and what a blessing it is…..I’m feeling very lost & defeated but always feel like a Warrior. I’am recently divorced after 20 years of verbal & emotion abuse. I’am on Social Security disability since 2001 & I receive alimony. I’am in terrible debt and don’t know what to do and where to start. All that I do know is that I thank God everyday that I am a strong and positive empath but very worn out!!!! I want nothing more than to become the woman I know I’m suppose to be but have been unable to because of my troubled marriage. It’s time for me to shine. I feel it deeply but I don’t know where to start. I have a hard time asking for help when there are millions of people in this world who have way less than myself. I don’t like to say I’m scared but I really am when it comes to my financial situation. 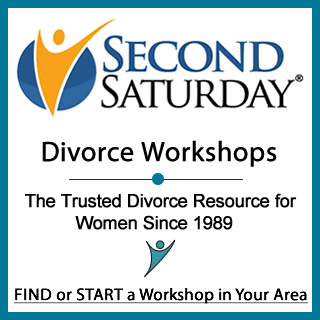 I’m hoping to attend the next divorce workshop but I was hoping you could help with your thoughts so I don’t feel so lost & in debt over my head….Thank you for who are & all that you do. You two ladies are a BLESSING.